Southern California's deeply entrenched car culture makes it difficult to navigate the region in a way that is kind to the earth. 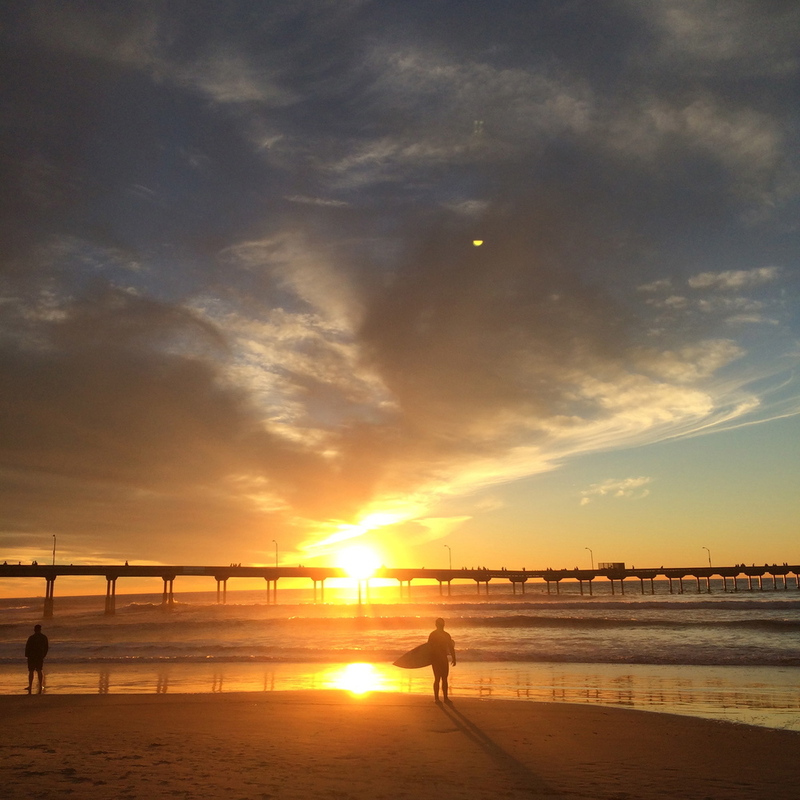 During my most recent visit to San Diego, however, I discovered that the Ocean Beach neighborhood where my brother lives is the perfect place to stay put. It's one of the few pedestrian and bike-friendly enclaves in the city and its proximity to idyllic Sunset Cliffs invites sun-drenched days pedaling between the Pacific Ocean and the gorgeous garden cafe at Ranchos Cocina. We travel for different reasons. To chase adventure, to return to our ancestral roots, to visit family, to relax. After reading a tome by essayist Pico Iyer on the power of staying still, I've come to recognize that sometimes, where you are is just the place to be. My brother and I never traveled too far from where he lived, choosing instead to share in big dinners with friends and bike rides along the promenade to Pacific Beach. My pervasive passion to see everything and do everything was eclipsed by a deeper desire to embrace the small sliver of the universe surrounding me. We talked to a union organizer outside of the Ocean Beach People's Organic Food Market and swapped ideas for encouraging greater community engagement. We savored a beautifully simple meal with friends at The Little Lion Cafe. We biked from beach to beach in the heat of the day. And in these moments of movement--the meandering walk, the swift ride past the blue ocean and coral pink umbrellas and white sand--I felt myself open up to a new understanding of "travel." It wasn't just that my brother and I were challenging car culture by limiting our scope to where we could go by bike; it was that we were challenging the idea that to go far is the only way to gain something we can't already find where we are right now. There's a profound pleasure in accepting that distance doesn't guarantee discovery. What did I do in Ocean Beach? Well, I ate. I biked with my brother, just as we had when we were kids and would go on a ride with our father after dinner every night. I walked on the beach. I swam in the ocean. I sat on a bench and listened to that immeasurably layered sound of water lapping against rock. This isn't so much a tour guide to OB then (although I really think you should try the veggie torta at Ranchos) as it is my way of extending to you the hope that you'll find a way to not go very far sometime soon. Not just because a couple days solely traveling by foot is environmentally sound. Because doing nothing can feel akin to cracking open the door to a new world. And there's a grace to that, a beauty, that no car can carry you to.